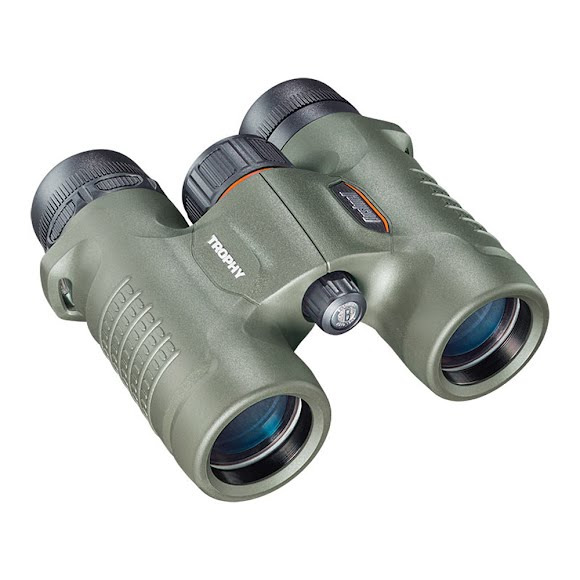 Compact, durable a portable the Trophy 8 x 32 Binocular from Bushnell makes bringing your optics along on any trip a breeze! All air-to-glass surfaces feature multiple layers of anti-reflective coating. Fully multi-coated optical systems deliver the brightest, highest-contrast images with the least amount of eye strain because only a very small percentage of light is lost before it reaches the viewer&apos;s eye. Lead-free glass means we use no lead in the glass lenses or prisms, By using enviro-friendly materials, we&apos;re not only helping you see the outdoors in stunning clarity, we&apos;re doing our part to keep them beautiful.